The Law of Trinity – where body – mind – spirit – are in balance – where each side of the triangle is equal. Are you (self) in charge or is God in charge or do you worship something other than God? Reading the Bible, meditating, praying, worshiping, helps but it doesn't balance the scale, until you surrender your life to Him and work on establishing an ongoing relationship with Him. Are the books you're reading, the thoughts you’re thinking, and the acts you're preforming, leading you closer to God or away from him? 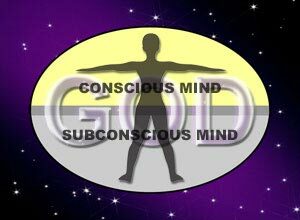 Spirituality: are you a bond-slave to God, submissive to Him or do you attempt to run your own life the way you see fit? Are the physical exercises you are now doing contributing to your physical well-being? If you are using them for weight loss please stop. If you are using them to enhance your weight-loss program and using exercise to gain fitness please continue. Is the knowledge you are gaining enhancing your mental abilities, stabilizing your emotional life, and allowing you to overcome old disabling habits? From a mental, emotional standpoint, do you have complete serenity and joy in your life? Are you totally free from worry and fear? Can you say "I have no committee chatting away in my mind?" When someone says I cheated on my diet, (Or anything for that matter) what they are really saying is I made a Slight Error in Judgment and then they try to imply that there aren't any consequences, from that cheating that need to be addressed or acknowledged. "I'd rather be fat than follow a plan that will allow me to lose weight." "I'd rather be sick and lethargic than follow a plan that will allow me to become fit." "I'd rather be lackadaisical and lazy rather than gain the knowledge I need to pass the test." Cheating always comes back to bite the person who cheats! Karma – what comes around goes around. Need guidance, need reassurance, need someone to hold the mirror, so that you can actually see your true authentic self? When something is no longer working in our lives, when the results contradict what we actually desire, change is required. Even if we move from resistance of an ideal, to acceptance, it requires change to take place. Normally that change must happen on a physical, mental and spiritual basis for it to become a new lifestyle and a permanent positive habit. Free health coaching is available! Start losing weight in the next few days. A Fat Burning Zone – generally takes 2 to 3 days to reach.